Another plant delivering the sweetest of scents this time of year is Viburnam x bodnantense ‘Dawn’. 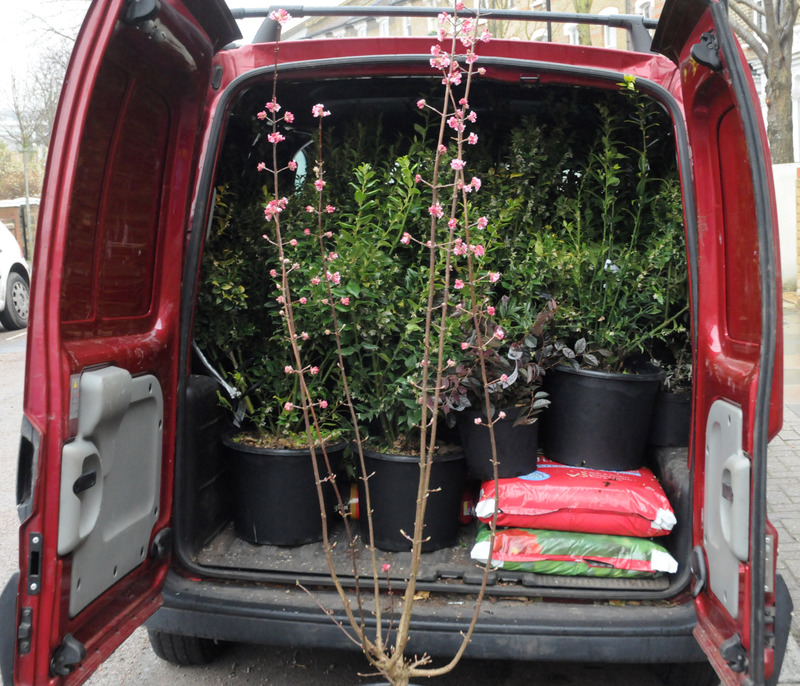 This Viburnam will grow into a large upright shrub (about 3m tall) if left unchecked and unlike the Sarcococcas in the back of my van here (which will grow in shade), needs full sun or dappled shade. 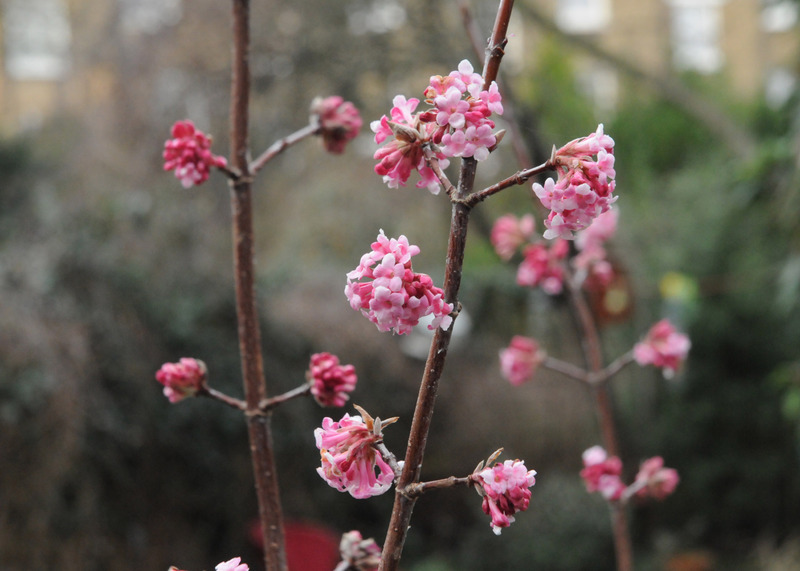 Gorgeous pink clusters of flowers develop on bare stems from January through to March and sprigs can be cut to perfume your house throughout winter. Dark green foliage follows on in spring, which turns to a burnished bronze in autumn. Positioned near a path, both flowers and scent are equally uplifting on a cool winter’s day. These valuable shrubs can be bought and planted now, and as these Viburnams flower on bare stems, really look great set against an evergreen background. One of the cheeriest plants this time of year! For more ideas for winter scent click here. I want one! I’ve had some disappointments with “gorgeous” winter scents before, but am sure this one will come up to the mark.